Phase 2 trials have shown that the anti-CD3 monoclonal antibody drug Teplizumab significantly reduces the loss of insulin-producing pancreatic beta cells for subjects newly diagnosed with type 1 diabetes. A drug in clinical trials has been shown to preserve insulin-producing pancreatic beta cells in nearly half of subjects newly diagnosed with type 1 diabetes. 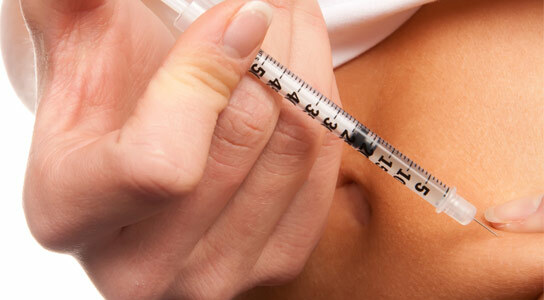 Results of the phase 2 trials are published in the journal Diabetes. In type 1 diabetes, a malfunction in the immune system’s inflammatory response kills off the beta cells that produce insulin in the pancreas. Trials of therapies to moderate this autoimmune destruction in new-onset type 1 diabetes (T1D) have shown success, but not everyone responds, and the response duration has been limited. The reasons why some patients respond better than others, and why earlier immune therapies have not induced lasting remissions of the disease, have not been known. Previous studies have shown that a single course of the anti-CD3 monoclonal antibody drug Teplizumab, given soon after diagnosis, improved beta cell responses for a year, but the responses waned after that. In these new trials, the team sought to determine whether two courses of the drug, one year apart, would have a better response. The team also hoped to identify the characteristics of patients who responded best. Teplizumab was originally produced by Dr. Jeffrey Bluestone of the University of California-San Francisco. In these randomized, controlled trials, the team treated 52 patients with teplizumab for two weeks after diagnosis, and again after one year. The results were impressive, report the researchers. Teplizumab treatment significantly reduced the loss of beta cells after two years; in fact, the level at year two was, on average, 75% higher in the teplizumab arm of the trial than in the control group. Herold and team also studied who responded best among the group of patients. “Responders tended to be those who needed less insulin when they first got into trial, and had better control of their blood sugar levels,” he said. Herold and his colleagues are hoping to soon start a phase 3 trial that could lead to FDA approval of the drug, but not just for newly diagnosed T1D patients. Herold is also principal investigator of a diabetes prevention trial at Yale, to determine whether the same drug can stop the disease in people are at high risk of developing type 1 diabetes. Other authors are Stephen Gitelman and Jeffrey Bluestone of the University of California- San Francisco; Mario R. Ehlers and Peter Sayre of the Immune Tolerance Network, San Francisco; Peter Gottlieb of the University of Colorado; Carla Greenbaum of the Benaroya Research Institute, Seattle; William Hagopian of the Pacific Northwest Diabetes Research Institute, Seattle; Karen Boyle and Lynette Keyes-Elstein of the Rho Federal Systems Division, Chapel Hill; Sudeepta Aggarwal and Deborah Phippard of the Immune Tolerance Network, Bethesda; James McNamara of the National Institutes of Allergy and Infectious Diseases; and the AbATE Study Team. This research was performed as a project of the Immune Tolerance Network (NIH Contract #N01 AI15416), an international clinical research consortium headquartered at the Benaroya Research Institute and supported by the National Institute of Allergy and Infectious Diseases and the Juvenile Diabetes Research Foundation. It was also supported by NIH grants UL1 RR024131 and UL1 RR024139. Be the first to comment on "Teplizumab Treatment Preserves Beta Cells in New Cases of Type 1 Diabetes"